Santa Claus' Reindeer Names: Who is Donder? 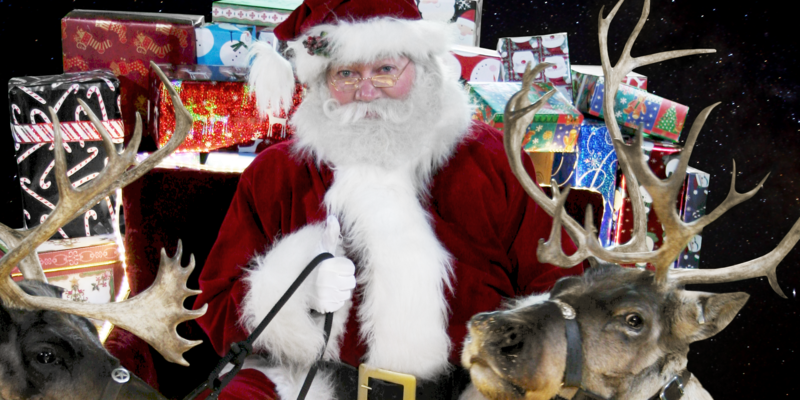 Santa Claus’ Reindeer Names: Who is Donder? I love reading the messages you leave on my blog. I read every single one! A few people wanted to know the reindeer names. Did you know I have a reindeer named Donder? I hear a lot of people asking, “What are Santa’s reindeer names?”. Well, the reindeer names in order are Dasher and Dancer and Prancer and Vixen. And Comet and Cupid and Donner and Blitzen! And of course Rudolph leads my sleigh. But I said I had a reindeer named Donder. Well, can I tell you a secret? Surprise! Donder and Donner are the same reindeer! Well, a little after that poem changed its name, Donder decided to change his name! He changed his name to Donner. He said it was because of some personal growth he had been going through. Ho! Ho! Ho! Of course, some elves think he just liked it better. Donner is easier to say after all! Then, a little while ago, he was thinking about changing his name again. He was thinking of changing his name to “The Reindeer Formerly Known as Donner”. (I wonder where he got that idea from?). He is a silly reindeer. But that is one of the reasons why we love him so much! I want a baby girl nice and cute…. i like some chocolates,baby needs for my brother,special gifts for my family,and lastly my gift of course hope you do not mind. I LOVE YOU SANTA CLAUS I HAVE BEEN A GOOD GIRL. i loove the raindeers all of them and i belivie in santa. I HAVE BEEN A GOOD GIRL TELL SANTA CLAUS I NO HE IS WATCH ALL THE GOOD GIRLS AND BOYS. hay santa i’am benjamin in [deleted by the elves — never put your street address, phone number or email address on the Internet — its not safe!] and i like when you give us presents and like four wheelers and bikes and aouther stuff. Cool! I never new Donner’s real name is Donder that is the coolest like in the whole world but I still think you should’ve kept his name to Donder it is still a really cool name you now Santa Clause!!!!!!!!!!!!! My mummy calls me my real name Amelia or chicken. I am alright with my dad and my sister and mummys nickname for me but not my uncles nickname for me! at home i get by a weird name. they call me sissy. I am called lots things at home. My mom usualy calls me Leasel after my middle name, and My grandpa calls me Elisabeth.That is a couple of my nicknames. I am not saying it sounds weird.It is his choice!!! Did he change his name because he thought that name sounded od??? My family mostly calls me Baby K. My brother K.C. came up with that when I was born. Now I’m 12 and they still call me that! Lol but they will probably call me Baby K. for the rest of my life! I don’t have a problem with that either! Well I hope to hear from you soon!! Doner is the head reindeer sssooo he is incearg with the other reindeer and he can help santa out around the north pole and be incrarg with the elves and reindeer too. they call me sweetcheerio p.s i live in florida not england. Mummy and daddy call me moopet sometimes. Mostly It’s moop though. Rebecca and Socratees have nicknames too ( note: they are cats). Sockratees has Chocolate Button, and Rebecca has Bexy or Bex. cool! well then then if it’s Donner (or Donder) and it id hid baby reindeer name him Donder. I bet when they changed the poem name he got so confused saying “what should my name be” They are all such cute reindeer. And last year on Christmas eve i woke up in the middle of the night and I heard reindeer! I WAS going to get out of bed but I didn’t want to scare you and leave so i didn’t. At home I get called Kenna(by my 3 year old sister)and by my friends I get called Kenny. I call my sister Babs even though her name is Neasa! my family calls me alex or al for short!!!!!!!!! I sometimes get calles A*MAG because of my middle name. Its supposed to sound like megan but its spelt magan. all your reindeer is cool,cute,speaical,nice,pretty and hansom. I like being called by my real name. hey santa I really want to know your age and Mrs Claus to!Is it over 100 years old Wall I dont know so tell me!!! Hi santa you are awesome! Sierra, I am so glad you told me some people are being mean to you. You do not deserve to be bullied. I want you to tell an adult about this right away, just like you told me! Sometimes bullies stop as soon as a teacher finds out. They are afraid they will get in trouble. You can also call some people who can help you. Did you read about “hapy” here? She was being bullied just like you. She called some people who can help you. She got the bully trouble to stop. I know you can make the bullying stop too. How many Reindeer guide the sleigh? How many reindeers have you got all together? I’d like to know. None of my friends call me names, but my calls me a lot of names, Caboose ,( because i’m the last one born) Sweetie, Silly Goose, Angel, Sweet Heart, Starlet,(because, my aunt owns a dance studio and a group there is called starlet and I LOVE 2 DANCE!) Lady Bug, and of corse CHRISTINA! p.s. she also calls me Xtina. why is donner the same as donder? i get called popsy and lilygirl!! Santa in my stoking could you put these things. webkinz picture of rudulph . fluffy socks with penguins . could you add a hannah montana lunch box to my list. HI!!!!!!!!!!!!!!!!! !!!!!!!!!!!!!!!!!!!!!!!!!! !!!!!!!!!!!!!!!!!!!!! !!!!!!!!!!!!!!!!! !!!!!!!!!!!!!!!! !!!!!!!!!!!!!!!!!!!!!!!!!!! hey santa i think doner is a great name and that is what really counts rite? Dasher and Dancer and Prancer and Vixen and Comet and Cupid and Donner and Blitzen… but do you recall… the most famous reindeer of all? Your site is cool.You should create another one called”email the reindeer. Hi Santa Claus, i really love the site!! its so cool. thanks for all the gifts!! i hope i get some this christmas to!!! The other names my mummy and daddy call me are ‘sweetheart’, ‘little princess’ or Chlo! I love all of the reindeer names but love Rudolph the best. can you ask MRS. claus all the elves and all the reindeers [including the ones in training] to sign a sheet for me or if a reindeer make a paw print can you also sign it PLEASE!!!!!!!!!!!!!!! in the begining of Rouldof the red nose raindeer why do they leave out olive? megna because when i was a little girl i thought my name was megna so know my nana calls me megna all they change is n and the a so it is megna not megan. My parents call be kelly belly. i love your website it ROCK`SI NEARLY GO ON IT EVERYNIGHT!!!!!!!!!!!!!!!!!! My dad (AKA Goofball!) calls me Shannon bannon wich is VERY embarrising the reason he does it! SANTA RULES!!! ho ho ho! I do know that Miley Cyrus changed her name. At first her name was Hope, then she changed it to Miley. Donder I think does not suit Donner. He should change his name to Deday! all of my family call me lunny loo. Because my last name is lunn. 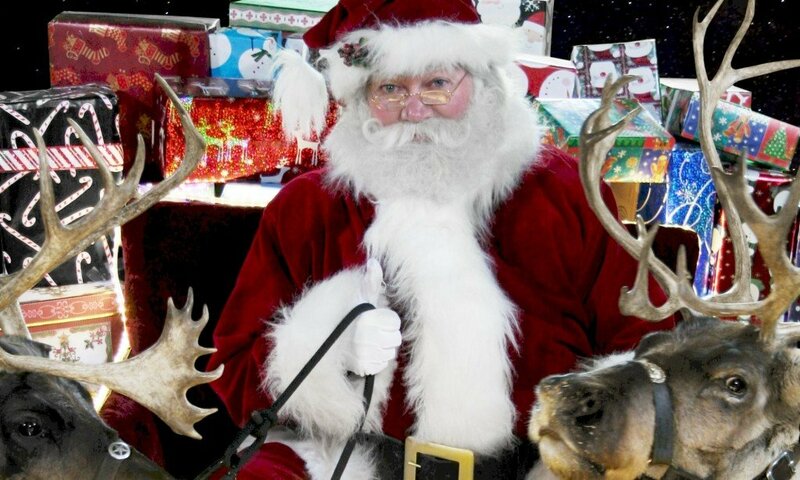 I love santa claus rein deer !!! I think one of his rein deer name is comet because in some of the games and movie about christmas there are a rein deer called comet.Now I think lots of rein deer change name because the name are too umfamiliar for the people in the future. I tend to be called Aim. I Love Your Blog Santa !!! It Rocks !!! Sometimes Mama calls me Sweetie. Sometimes Daddy calls me Burke. Sometimes my Mama and Daddy call me motormouth because I like to talk alot because it makes my mouth feel good. My family also calls me Zack! My Mama calls me Zack Attack sometimes. I act just like my Daddy! My family also calls me “B” for short. Sometimes my Mama calls me Bumble Bee. Sometimes my Daddy calls me Stud Horse. we love voting on who will guide your sleigh. Thank you for the fun site. I really like your site. It is very interesting.I am nine now, and i was expecting this site to be so babyish, but it is not!A lot of had work hhas been put into this site. doona is a beautiful reindeer that is also a girl.did you know doona is one of my favourite reindeers. Next PostNext Santa Clause, Santa Claus, Santa Clause 3?